Ticketer is providing Go-Ahead with its latest Electronic Ticketing Machines (ETMs) with fully integrated EMV readers for contactless payments. The new system has the potential to offer pay-as-you-go ticketing with fares calculated – and capped – in the back office, rather than by the driver’s ticket machine. It is also the first ‘Model 2’ deployment to feature a fully integrated EMV reader within the bus ticket machine. The new system is able to help mitigate the increased transaction costs which operators face from introducing contactless payments, by aggregating multiple transactions from the same customer together into a single debit to their account. The project is the result of a partnership between Go-Ahead, Ticketer and Littlepay, a fintech start-up company focusing specifically on developing micro payment processing services. 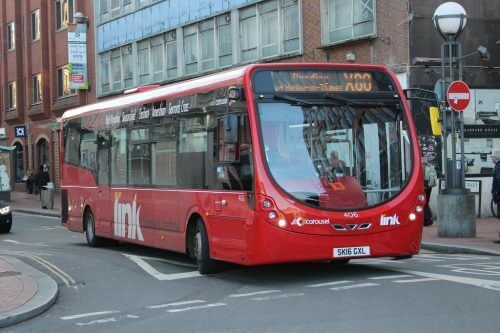 Phil Southall, Managing Director of Oxford Bus Company, Thames Travel and Carousel Buses, said: “Our customers have been telling us for some time that they want to be able to pay for their travel as conveniently as possible – which for many means using contactless technology. Therefore we’re really proud to be able to offer the ability for customers to pay for their tickets using Visa, Mastercard, Apple Pay and Android Pay. John Clarfelt, Managing Director of Ticketer, said: “We are delighted that after the intensive efforts of all parties working closely in partnership, Oxford Bus is introducing such an innovative and customer-friendly option for its passengers.